Millennials are increasingly shaping future consumption as well as investment and business trends. Much like previous generations, Millennials have distinct characteristics that shape their preferences, concerns and priorities. They are digital, global, environmentally friendly and social, to name but a few. 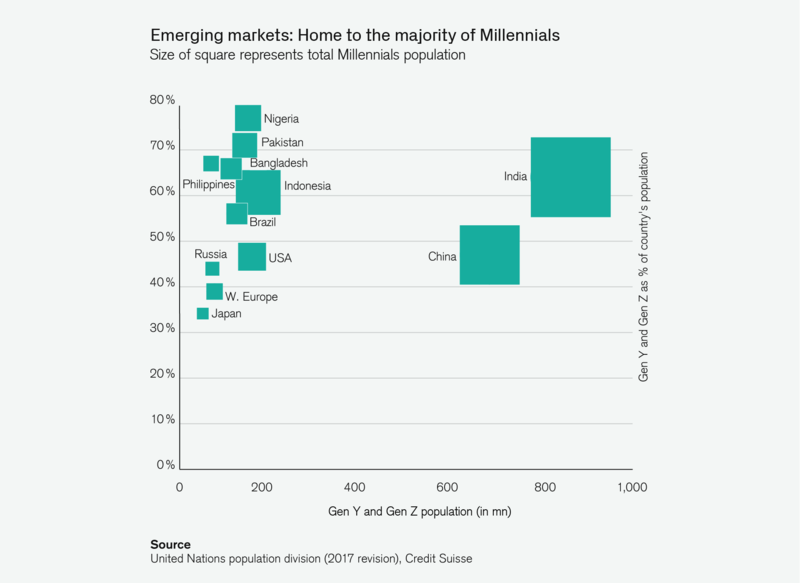 Another distinct feature of the Millennials generation is that, as a result of global demographics, most of them come from the emerging markets (EM). China accounts for a particularly large share of the world's Millennials. In 2017, brands that successfully attracted Millennials' business outpaced their respective markets, whether in the apparel, beverage, cosmetics, food or even luxury goods space. Although the success of the last category may be linked to the higher share of emerging markets in the global Millennials population and stronger consumption from this group, leading luxury brands already generate more than 50% of their sales with Millennials. Premiumization, in other words a move toward branded and premium goods, is a characteristic of the emerging market consumer, regardless of their age. But as emerging markets claim a dominant share of the Millennials population, their consumption influence is equally strong. Chinese Millennials, for their part, are leading the way with regard to the development of video gaming, and also of eSports, which are rapidly gaining in popularity. eSports, in which video gamers compete in global tournaments, has become the second most popular sport after football. 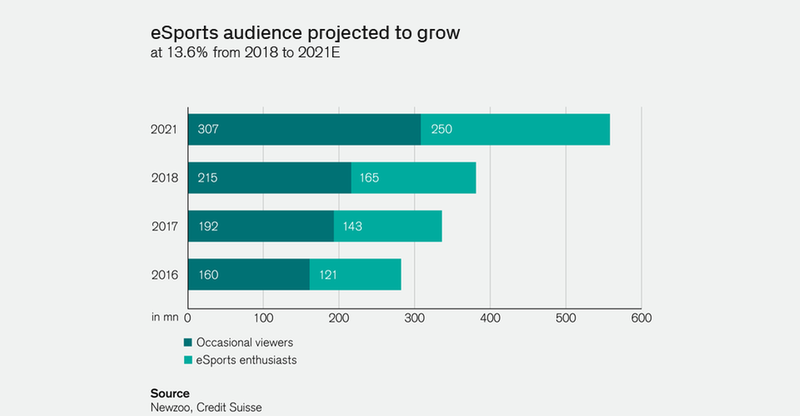 The number of eSports fans rose to 335 million in 2017, more than the entire US population, and is expected to climb to 557 million by 2021, according to gaming market researcher Newzoo. This trend has not gone unnoticed, making eSports users an attractive target for advertisers and consumer brands. Traditional sports are also starting to associate themselves with eSports. In the 2022 Asian Games, eSports will be an official medal sport. In the medium term, therefore, the video game market and eSports will continue to offer strong structural growth. A recent Credit Suisse Research Institute survey on emerging market consumers corroborated many of our past observations about Millennials favoring experiences and lifestyles revolved around fun, health and leisure. We see strong potential for sports brands in emerging markets, as the penetration of the category is still significantly lower than in developed markets. The Supertrends offer a tangible link between today's major developments and investors' portfolios. Is active Millennials favor experiences and lifestyles centered on fun. Discover how to profit from this trend.